Being in Hong Kong means that you can taste the most incredible food in the world. Start your food journey with these 3 great tastes! Having a worldwide reputation Dim Sum is a popular dish in Hong Kong. Meaning “touch the heart” in Chinese, Dim Sum is known as the Chinese Breakfast and is served with Chinese tea. 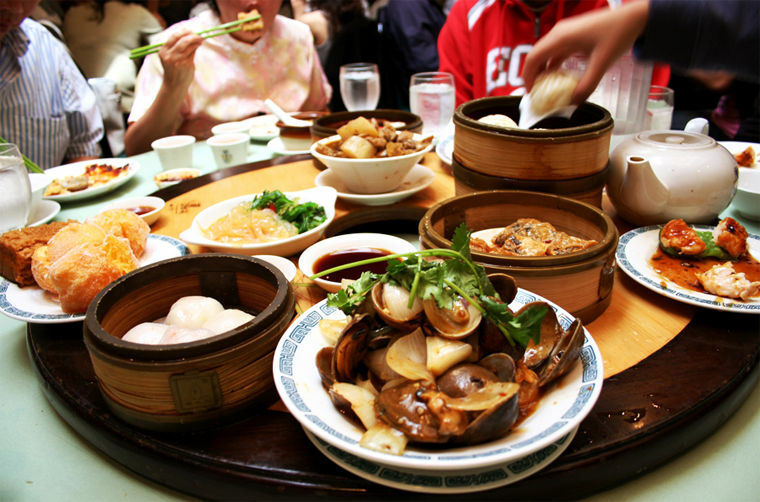 This most popular meal in Hong Kong offer a wide variety and everyone can find their own taste. When you go to a Dim Sum restaurant, you are offered more than dozens of kinds and you pick your favorites. Dim Sum is prepared as individual portions and generally steamed, grilled or fried. The most popular types are filled with meat, fish or vegetables. Dim Sum are definitely the perfect choice to get the taste of Hong Kong. Egg Waffle is a highly popular sweet fast food in Hong Kong and is not much different from ordinary waffle. But its shape is a bit unique. Actually eating this bubbly waffle is fun and the taste is really worth it. As it is categorized as street snack, you can find it anywhere in the streets and try this great taste. It is often preferred plain but you can also try it with chocolate, fruits or flavors. Pineapple Bun, also known as Bo lo baau in Chinese, is regarded as the part of Hong Kong's intangible cultural heritage. The top of it is made of a dough that consists of sugar, eggs, flour and lard and it is sweeter than the bread underneath. Pineapple Bun is usually served with breakfast and afternoon tea. Although its name is Pineapple, it has nothing to do with pineapple. The name comes from its checkered top surface resembles a pineapple.